The US government has completed the process of annual lottery for H-1B visas and around 85,000 lucky winners will be informed shortly. Sorted out from the applications from 172,000 foreigners, the selected candidates can work for three-years for US companies, who earlier agreed to sponsor them.Most of these employees are already working in US and are graduates in technical fields including engineering, science and IT from the US universities. The Immigration Act of 1990 earlier passed by the congress currently limits the visa approval count to 85,000 per annum. US Senator, Orrin Hatch, stated that there is a enormous requirements for the graduates who had done specialization from engineering, maths, science and technology generally referred as STEM fields. The Senate's bipartisan Immigration Innovation Act of 2013 would enhance the cap in the H-1B program to 300,000 foreign workers. 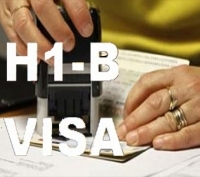 The H-1B visa program may or may not be good for the US, it’s just an opinion. The only thing is that a huge number of overseas employees are willing to obtain an H-1B visa and will have a wish to work in US companies.